A winter wonderland baby shower is a popular theme that the mom-to-be will love! 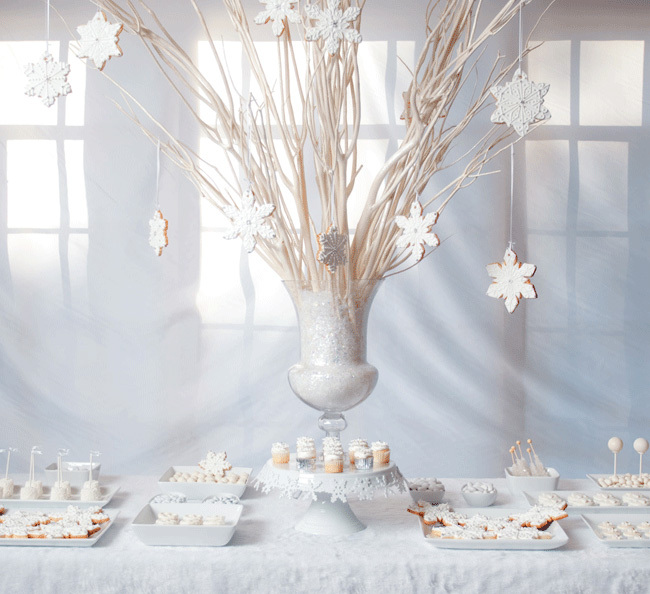 Better yet, a winter wonderland themed baby shower is remarkably easy to pull off with some all-white decor and white-toned snacks, like the example below featured on the Chickabug blog. 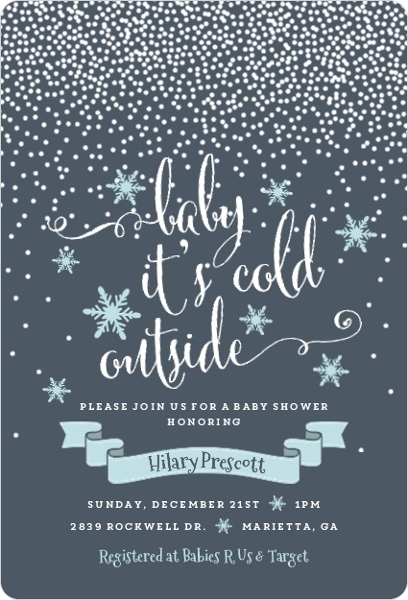 First, get guests excited about your theme with winter baby shower invitations. Then, create a winter wonderland inside your home or event venue with some DIY creativity and winter-themed treats. Cheery snowflake accents and a chalkboard background make Invite Shop’s Winter Wonderland Blue Snowflake Baby Shower Invitation a cut above the rest. The design comes in a blue or pink color scheme, but you can fully customize with your choice of background, fonts, and embellishment for a look that’s all your own. An ice blue background and a sentiment that “a little snowflake is on its way” make this design special. Antique trim even gives this invitation a snowflake look. 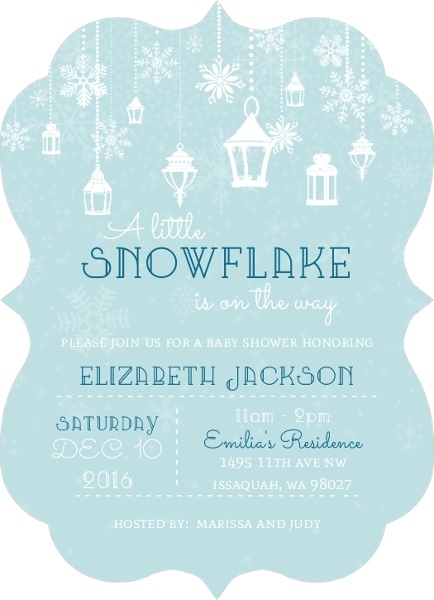 The Blue Baby Snowflake Baby Shower Invitation is sure to draw smiles from shower guests and become a keepsake of the mom-to-be. To anchor your winter wonderland baby shower decorations, create your own ice-kissed branches and display them in tall vases for a winter forest look. DIY sparkle branches, like the example below, call for long, thin tree branches that you’ve found outside and pruned to an ideal shape. Apply some spray adhesive and some silver glitter and you’ve got yourself winter wonderland decor straight out of a catalog. Momtastic has the full tutorial. Another method of creating DIY iced branches starts with bare decorative branches. 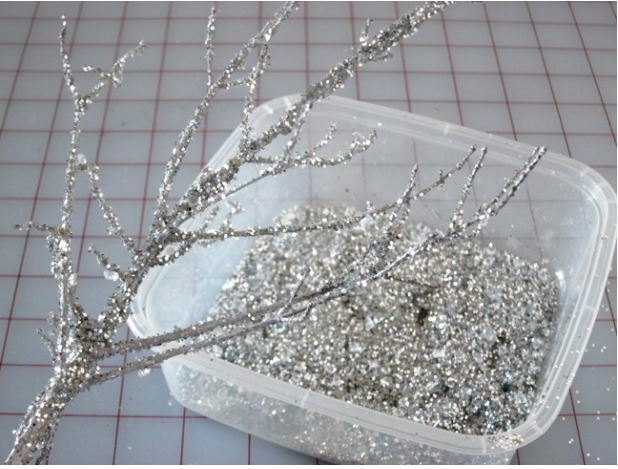 First you coat these branches with tacky glue, then you roll them in German glass glitter and diamond vase filler. 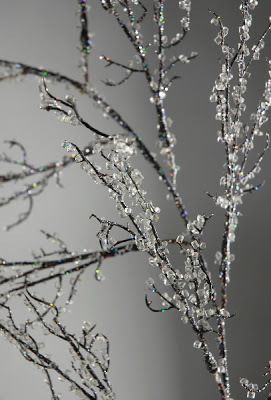 The Make Them Wonder blog has the full tutorial for the pretty branches below. 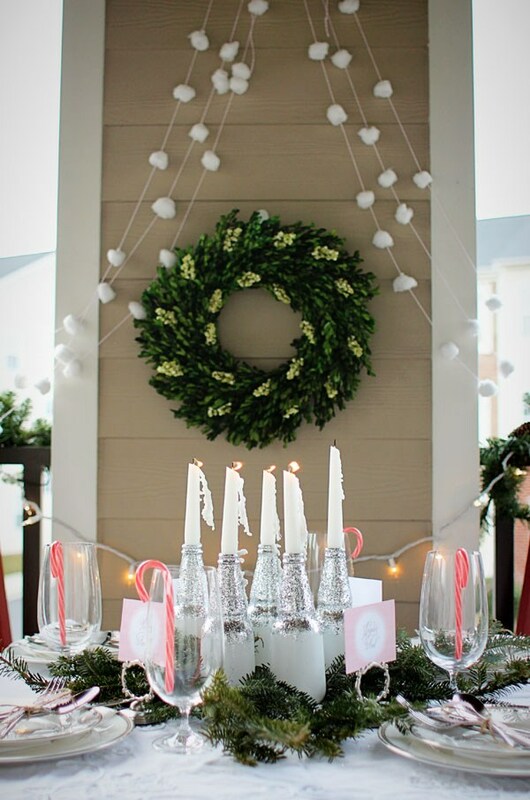 Use different styles of winter wonderland garlands to boost your theme. Homemade snowflake garlands like the ones below featured on the Anders Ruff blog create a gorgeous winter wonderland effect. 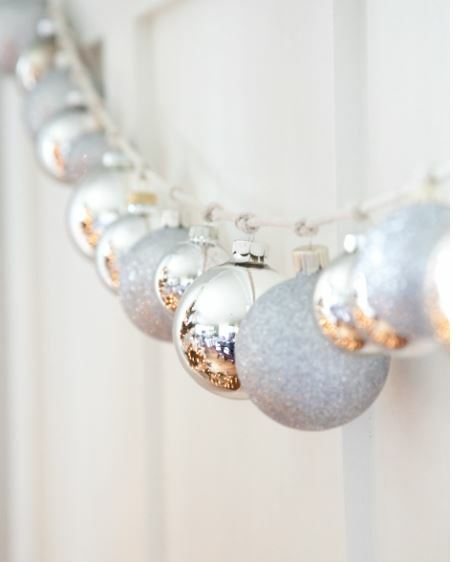 Dangle silver Christmas ornaments from white cotton twine to create a simple winter wonderland garland. Use different sizes to create a little visual variety, like the example below from the Boxwood Clippings blog. You can also mix things up by adding in a few silver or white snowflake shaped ornaments in keeping with the theme. Marshmallows on a string are another great way of creating a beautiful (and delicious!) snow garland. You can also suspend marshmallows from the ceiling to create a falling snow effect. 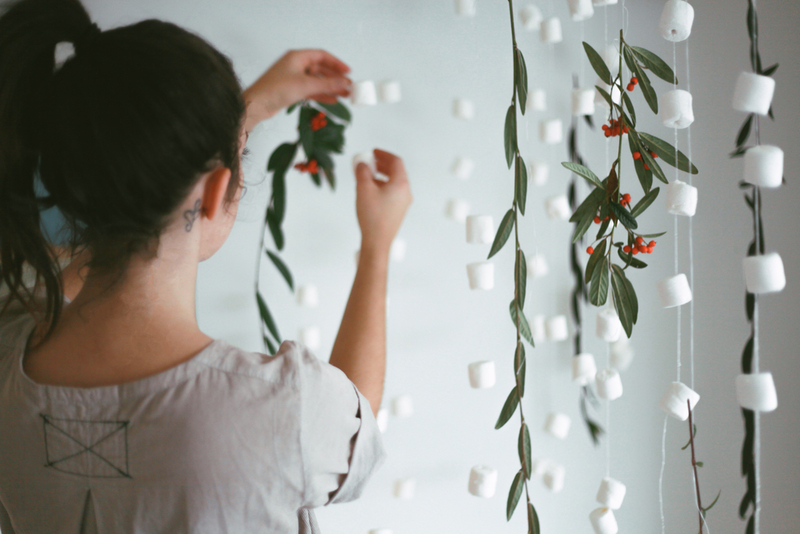 We love how the Treasures & Travel blog combined marshmallows with sprigs of winter greenery. The full tutorial explains how to pull off the look below using marshmallows, dental floss, and hot glue. 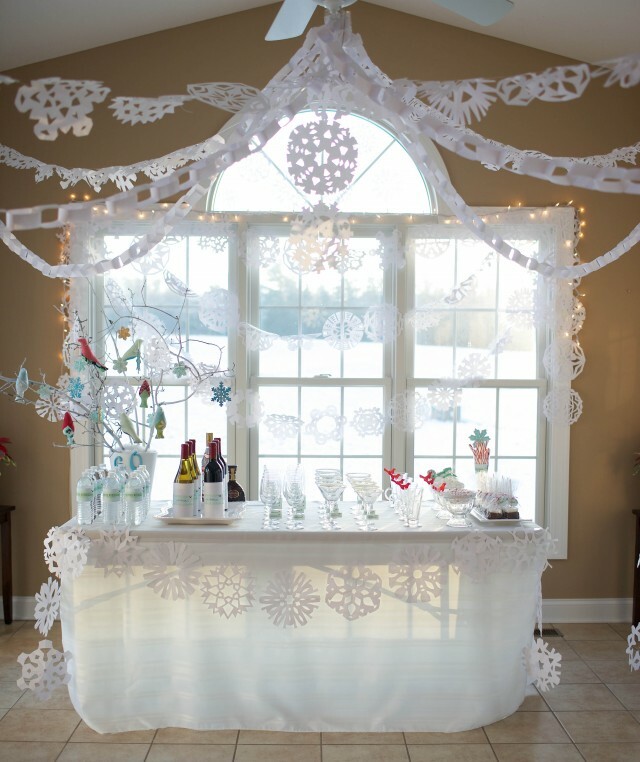 Cotton ball snow garlands can also be draped across the wall in gentle swoops for a wintery effect. The Two Delighted blog has a full tutorial on how to create snowy cotton garlands like the ones below that can be draped across fireplace mantles or dessert tables. Diaper cakes are a staple at baby showers, serving as both a decoration and a useful gift to the mom-to-be. 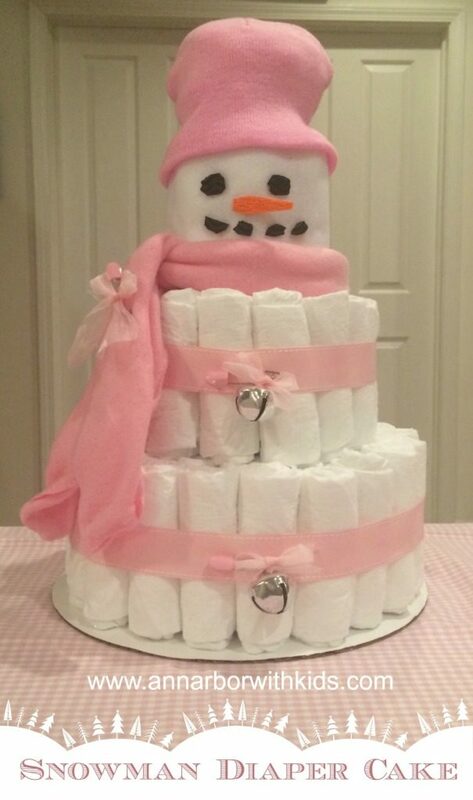 To help your diaper cake fit in with your theme, design it to look like a snowman! The Ann Arbor With Kids blog explains in a helpful tutorial how to take a basic diaper cake structure and tweak it to look like a snowman with a few dollar store accessories, like the example above. You can use pink, blue, or neutral accents, depending on the gender of the baby and the preferences of the mom-to-be. 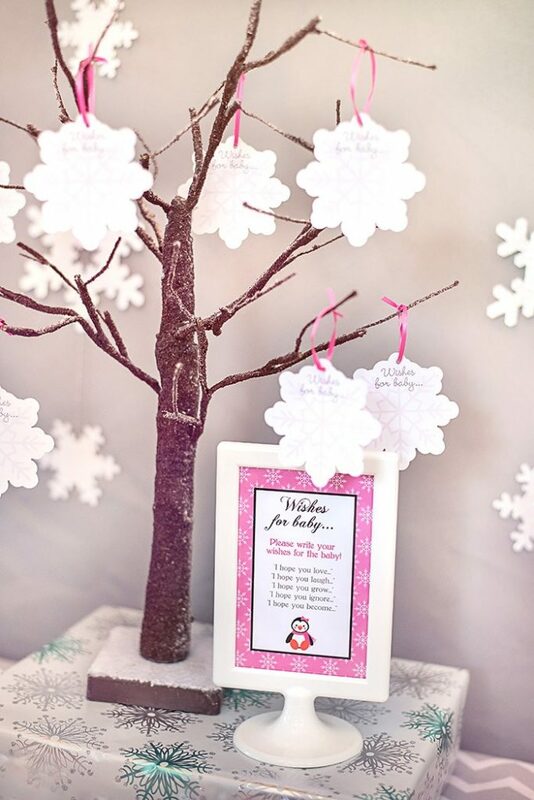 To help make the winter wonderland baby shower special and memorable, create a wishing tree memento for the expectant mother. You can either create your own wishing tree using found branches or you can purchase white painted manzanita branches and a sturdy base. Have some cardstock snowflake ornaments on hand where guests can write their special wishes for the baby. These snowflakes can either be DIYs or printables from a party company like Celebration Lane, which created the example above. Last but not least, have each person hang their snowflake wish on the wishing tree. 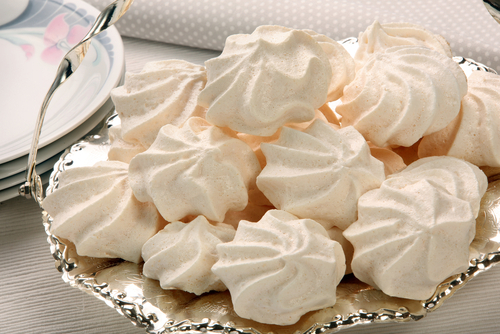 The secret to beautiful winter wonderland food is choosing foods topped with powdered sugar, shredded coconut or white chocolate, all of which add a snowy effect. 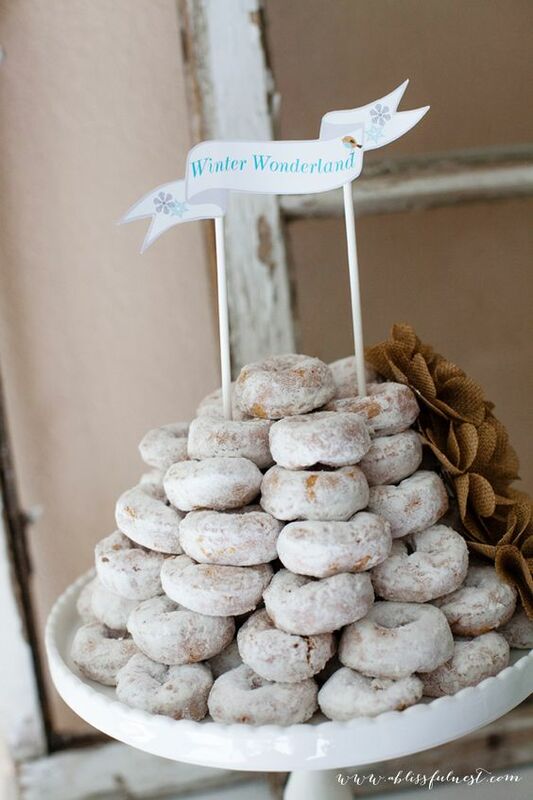 For example, a tower of powdered donuts is a delicious addition to your wintery theme. Send guests home with a winter themed treat, such as clear or icy blue rock candy. 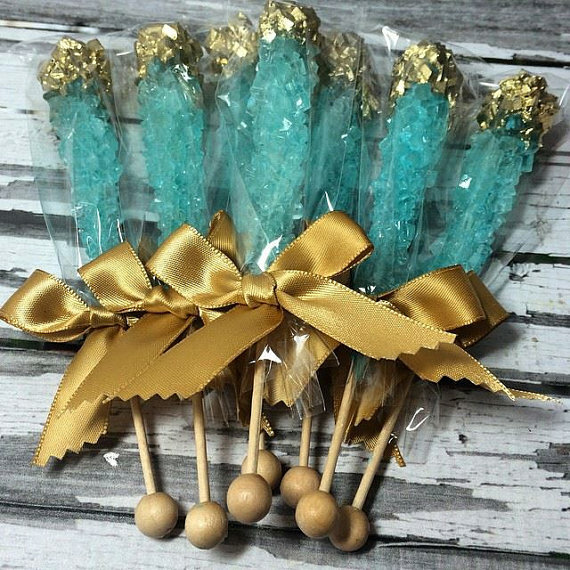 You can get gorgeous rock candy sticks that fit any theme from the Sparkling Sweets Shop on Etsy. Last but not least, winter wonderland baby shower games are easy to plan. Simply take traditional baby shower games, like the “guess how many” game and charades, and add a little winter twist. For example, you can fill a clear jar with white jelly beans, white gumdrops, or white gumballs, and print out a little sign that says “Guess how many snowballs are in the jar?” Then you can give a small prize to the guest who comes closest to guessing correctly. A simple game of charades with a winter theme will help keep things lively by adding in some friendly competition. Guests can act out common winter activities, like building a snowman, skiing, making hot chocolate, ice skating, and making snow angels. We hope these winter wonderland baby shower ideas inspire you to plan a baby shower that is both beautiful and memorable!